Your carpet represents a significant investment in your home, and thus we offer the safest and most thorough cleaning possible by using an environmentally-friendly non-toxic cleaning agents and professional cleaning equipments. SoFresh Carpet Cleaning service covers Sydney, Parramatta, Rouse Hill, Dural, Scholfield, Seven Hills, and West Pennant Hills. 24/7. Our services make use of professional cleaning equipments including HHP-300 and ROTOVAC POWERHEAD, to ensure your furnishings to be squeaky clean and fresh. 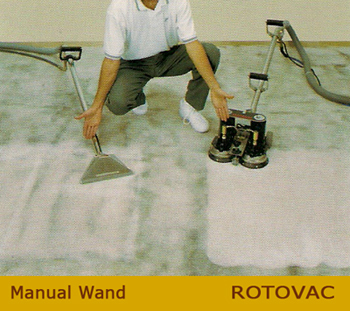 See the comparison result between carpet cleaning using Manual Wand and carpet cleaning using ROTOVAC in the picture below. Furthermore, as part of the community, Citrus based cleaning products are prefered as an instance of environmentally friendly cleaning solutions over the toxic non-enviromentally-friendly solutions as it might also be dangerous for health.